The Zabbaleen (meaning literally "garbage people") village at the base of the Mokattam cliffs began around 1969 when the Cairo governor decided to move all of the garbage collectors to a single settlement. The garbage collectors were largely Coptic Christians and as their numbers continued to grow over the years the need for a centralized church began to grow. In 1975, the first Christian church was built in the village but after a large fire broke out nearby, work began on a monastery that was built right into the cliffside. The Monastery of Saint Simon was the result of this new project. Simon the Tanner was a craftsman saint who lived during the 10th century and the cave church that was dedicated to him seems as though it might last for 10 more. Using a pre-existing cave and the slope that led into it, the current monastery seats 20,000 people around a central pulpit. 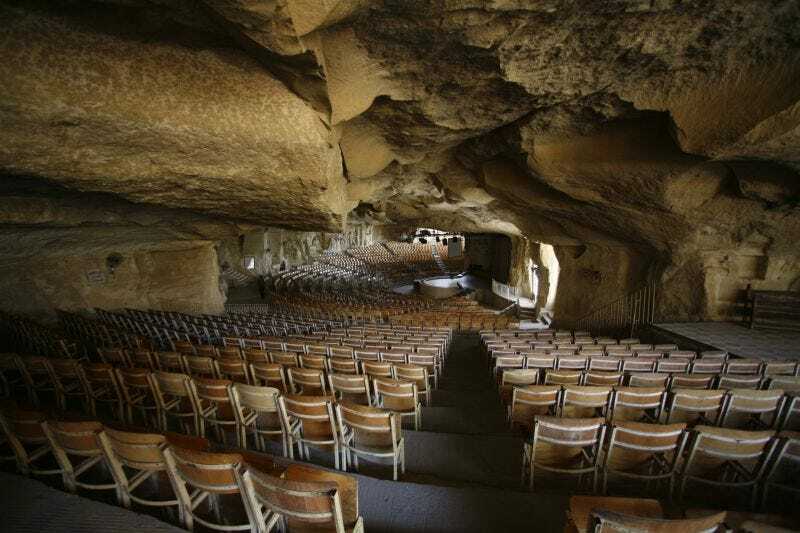 Other nearby cave have also been built into separate church spaces and all of them have been linked to create a massive Christian complex in the heart of garbage city. Since tourism through the scavenger's village is not a thriving industry, reaching the Monastery of Saint Simon is no small feat, yet as the largest Christian church within a handful of countries, hundreds of thousands of people make the pilgrimage each year.